Did you get so much procrastinating done this week? 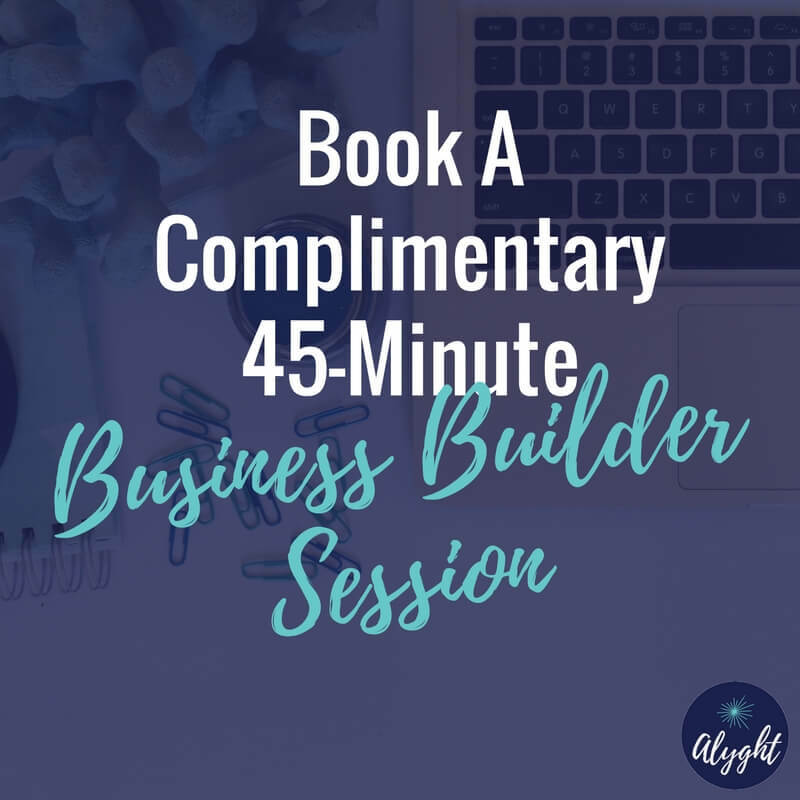 Have you been putting off completing the activities that will help you grow YOUR business and land new clients? Perhaps you are procrastinating because you are avoiding some key block in your business mindset. Hate to break it to you, but you need to WORK on that mindset, or your business will NOT grow. Let’s talk about the 7 reasons that procrastination may be holding you back. Are you still excited about your business? It is really hard to focus and do #allthethings when you lose your excitement. If you are not totally enthused about every aspect of your business, it might be time to ask yourself, “Why?” What is causing this disconnect? Maybe you’ve gotten too far away from your WHY for your business. Why did you start your business in the first place? Who were you looking to impact? What did you want to accomplish? Maybe your lack of motivation is actually due to the fact that the direction your business is taking does not resonate with your business goals. There could be so many reasons that you lose your motivation, but typically it is because you have gone too far afield and need to find you way back to why you started your business in the first place. Get there! Reconnect! Reason #2: Where Do I Get Started?? So, you have this amazing idea. You are so excited to get this idea out into the world. You KNOW that your audience NEEDS what you have to offer. How do you get started? Do all of the steps seem overwhelming? Do you even know what the first step is to reach your goal? You procrastinate because it just seems impossible to make any strides and the reality that you want seems too much like a dream. If this is you, then it is time to break down your goal and create actionable steps to reach it. Just take one step at a time until you start seeing the way out of the trees. Develop a clear plan of action, and you will be able to begin taking those small steps to reach your goal. If you have absolutely no clue what the next step should be, then you should probably reach out and talk to someone about it. Whether it is a fellow entrepreneur, a colleague, a friend, or a coach, talk to someone you trust about your goals and figure out that next step. Sometimes it seems as if the world is just one huge distraction. Between email, social media, client work, family time, more emails, more client work, more posts, etc. when is there time to work on YOUR business. It is so very easy to let all of the distractions justify your practice of procrastination in your business. You HAVE to get the client work done, right? Those emails can’t just sit there, they need to be answered NOW! That’s not true. Having clear time management practices will alleviate the distractions, but if you are using the distractions as a crutch to continue your procrastination, then no amount of time management will help. Don’t allow the distractions to detract from your goals. Consider building into your day a certain amount of time to be clear and focused solely on your goals and your business. Perhaps you are procrastinating because you feel that everything needs to be perfect. You are most certainly not the only one there lady. Being a perfectionist is great on some levels. You are organized, detail-oriented, and able to manage all of the things with ease. However, when you allow your need to get every detail correct before taking any action, you are allowing your perfectionist tendencies the power to keep you from reaching your goal. First, in marketing, sales, and business overall, there is not such thing as “right.” There are so many different paths to success, that “right” really has no meaning. While you are waiting for everything to be just right for your brand, your copy, your marketing, the market is steadily changing and everything that you perfected is now imperfect. When we say things like, “better done than perfect,” this is because what works today may not work tomorrow. You need to get yourself out there and tweak and change as you learn your audience and your clients. There is no such thing as perfect, and thinking that there is, will only keep you in the waiting room of your business. Who here loves a good checklist? Is it not one of the most gratifying feelings to check off all the tasks that you gave yourself for the day? Don’t you feel so accomplished when all the boxes are marked? Of course this feels great, but if you are constantly doing all of the easy tasks to garner that sense of accomplishment today, without working on those bigger tasks that build your business for tomorrow, then you are procrastinating. It may not feel like you’re procrastinating. I mean, what procrastinating person gets THAT much done every day right? It is important to focus on tasks that will actually provide you a return on your investment, whether that investment be time or money. The pay off may not come today, tomorrow, or even in six months, but when you continually work toward your overarching business goals, you will see results. Don’t allow your need for immediate results to overshadow the long-term pay off of investing your time and energy into yourself and your business. Are you really, REALLY good at what you do? I bet you are. You wouldn’t be building a business if you weren’t fantastic at what you provide right? Maybe you have always been naturally gifted in certain things. Perhaps things just click for you, and with very little effort you are able to succeed. Sometimes when we are very good in all that we do, it is hard to realize that for us to succeed in business, we have to continue to learn and grow. We have to learn how to market ourselves and our businesses. We have to learn how to sell. While sales and marketing are not hard per se, they are in fact quite simple and formulaic, but they are also not in any way easy. Which marketing channels should you use? When should you post? How should you post? How do you create graphics? Oh no, creating graphics requires new software? Then, once you feel you have a handle on all of these things, the market changes, the analytics change. What worked yesterday no longer works today, and your views and sales take a hit. What do you tell yourself when things get hard? When you feel challenged, do you feel weak? Do you feel like you’re not good enough? Many times when everything has come naturally to us in the past, it is easy for us to gravitate toward those easy things, and abandon the hard stuff that causes us discomfort. We allow ourselves to procrastinate in learning and mastering all of these new ideas, so that we can stay in our zone of comfort. However in order to be successful in business, it is imperative to thrive in a certain amount of discomfort. Easy is almost never the path to success. There are so many things to be afraid of in life and in business. Some people fear visibility which is really a fear of the process. Others fear success, which is a fear of the outcome. No matter what your fear is, human nature allows us to avoid things that cause us to be fearful. We ignore and avoid the things that cause us discomfort and fear in the hopes that it will just go away. The important thing is to get very clear about what you actually fear. Break down those things. Find the various parts. Then take action and do the thing anyway. Do it scared. Fear cannot hold you back so long as you take action and just DO. Have any of these reasons resonated with you? Perhaps all of them? Just a few? You are not alone. 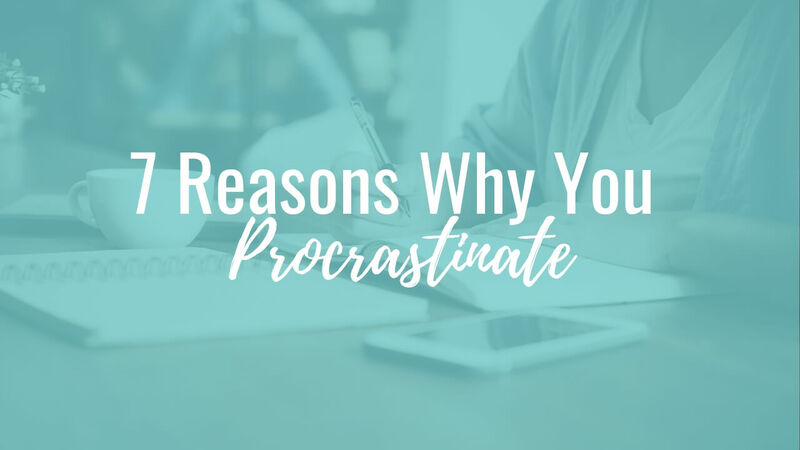 I personally am afflicted with the procrastination bug on any given day myself and for a variety of these reasons. But think about it, If you were to stop procrastinating, what could you achieve in your business? I know what you could achieve. You could change the world. How you ask? When you decide to show up each and every day, and own your actions and your business, you impact your life, your family’s lives, your client’s lives, your audience’s lives, your client’s audience’s lives, and so and and so forth. When you show up and take targeted actions in your business to reach your audience, you create a positive ripple effect that touches so many others. Remember when we were talking about next steps? If any of these procrastination causes resonated with you, then maybe you need a business buddy to keep you on track. 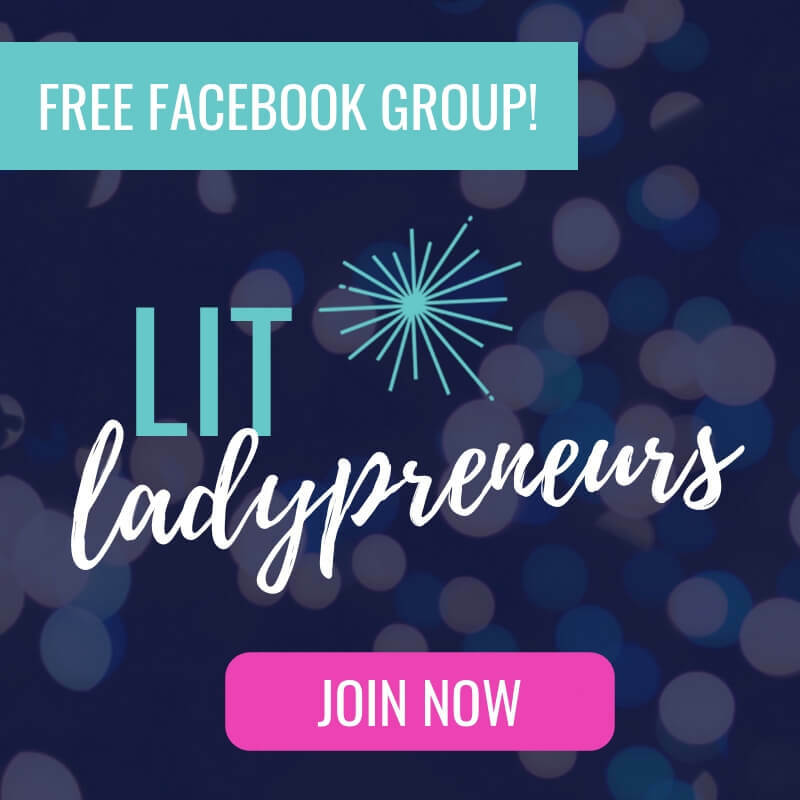 Come join me and a wonderful group of entrepreneurs in my free Facebook group, LIT Ladypreneurs. We love to build each other up, share our wins, and be there for each other when things get tough. What are you waiting for?